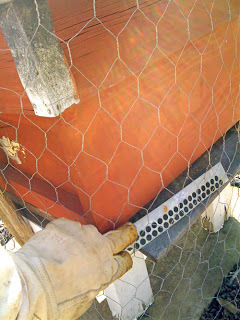 > 3 Top Tips For The April Beekeeper! Every year I am caught out by the sudden change in weather and the sudden arrival of warm days. Yesterday was the first real warm day of the year and all the trees blossoms seemed to have exploded into life. 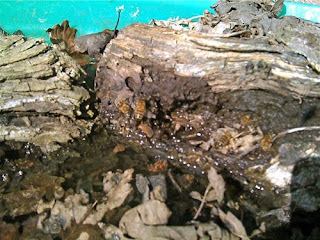 As a result the pollen is flowing and honeybees are working fast at building up their colonies. Many calls to the shop have reported beekeepers having their bees swarm. So work fast and do these 3 April points now! 1- Remove the mouse excluder. Your bees need room to get in and out with all the fresh new pollen. If we get a very cold snap, you can consider placing it back during that period. If your colony of bees are occupying 6 frames or more, then its time to give them extra room. Remember if bees feel cramped and out of space to grow, they will produce queen cells in preparation of swarming to make room. So always give them plenty of room. 3- Provide a water source. Your bees will now be looking to feed on the remaining winter honey. Much of it will have set very hard in the comb and your bees will need to collect water to dilute it so they can feed from it. Bees do not prefer clean tap water. So prepare a vessel, pond, birdbath, bucket well in advance. Fill it with logs, leaves and moss. Fill with water. Remember bees like old water because there will be many minerals in the water from broken down organic materials. Keep watching here for more seasonal tips!